Karen Kingsbury brings listeners a new series that picks up where the Redemption series left off. The Firstborn series focuses on the surprise new member of the Baxter family: Dayne Matthews. As Dayne Matthews returns to Hollywood after his shocking discovery in Karen Kingsbury's bestselling novel Reunion, he faces the dangerous world of fame and paparazzi. 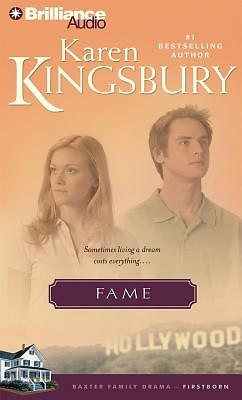 Meanwhile, Katy Hart receives the offer of a lifetime - starring opposite Dayne in a Hollywood film. Dayne and Katy's choices will change their hearts and lives forever.